A character that dreams, has vision, goes against the odds, and makes bold choices is one of the cornerstones of any good narrative framework. Why shouldn’t the same be true for companies? 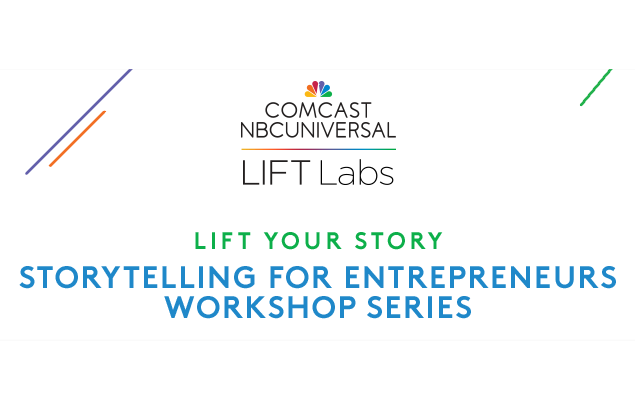 In this workshop, you’ll learn how a good origin story can be impactful for a company’s brand, and discuss a few noteworthy examples. You’ll also talk through how to describe the “emotional stakes” in your company’s journey, and discuss how to break down your brand’s narrative into characters, turning points, and resolutions. Iris Mansour has interviewed Presidents, Oscar winners, Dolly Parton impersonators and 10-year-old entrepreneurs for Fortune, Reuters TV, Mashable, Quartz, The Guardian and Time Out. She started her career in the relentless field of TV News. Covering elections, hostage takings and everything in between. She learnt to interview virtually anyone about anything at a moment’s notice, including: Hamid Karzai, Condoleezza Rice, Pedro Almodovar, and Monica Bellucci. As she transitioned to features and documentaries, she came into contact with people who had never found themselves in the spotlight; young adults with cancer, teens with eating disorders and people experiencing homelessness. She needed to adapt her interviewing techniques to tell a very different kind of story. Over the years, she’s developed interview techniques that cover the most complicated scenarios.